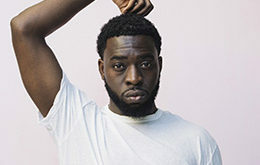 SF Sketchfest is back for NightLife at the California Academy of Sciences, an amazing night of comedy, science, eating and drinking for adults over 21! 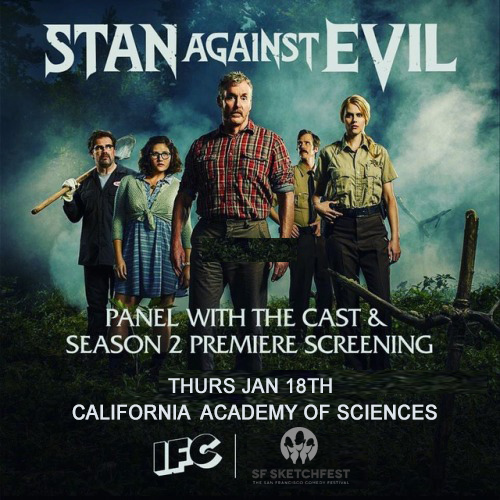 This year’s event includes a panel with the Dana Gould and the cast of his IFC hit “Stan Against Evil:” Deborah Baker, Jr., Nate Mooney, Steven Ogg and Janet Varney, moderated by Paco Romane. Stan Against Evil is an American comedy horror television series created by Dana Gould. The series stars John C. McGinley, Janet Varney, Nate Mooney, and Deborah Baker Jr. The series premiered on IFC on October 31, 2016. 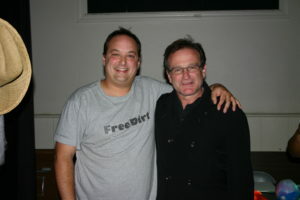 In January 2018, it was announced that IFC had renewed the series for a third season.